MONTREAL -- A Montreal mountaineer will attempt to become the first solo woman to climb Canada's highest mountain in a trek that begins next month. Richard, 43, is an experienced climber who has tested her limits on some of the world's highest mountains and has taken part in some 30 ascents since 2010. 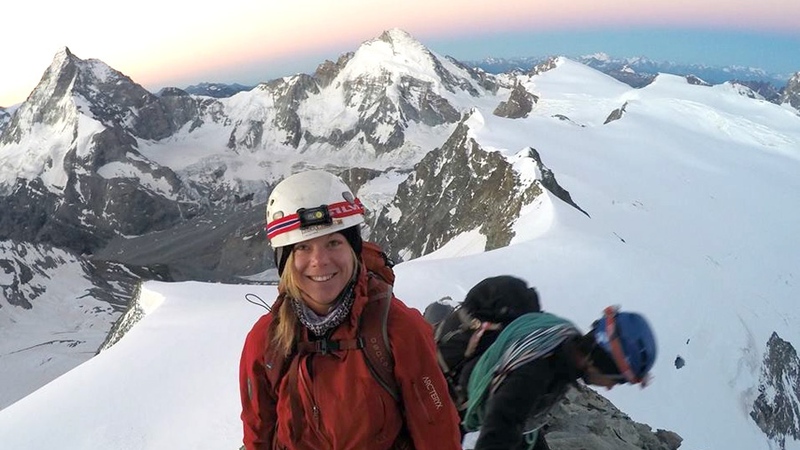 She said she's confident she can make it up Logan -- a nearly 6,000-metre-high mountain she attempted unsuccessfully last year after a climbing partner encountered difficulties. "I sacrificed the summit to go back down with him for safety reasons," she said. "I was about 12 hours from the top." Richard said she has the benefit of having already braved Logan and that she'll be better equipped with backcountry skis instead of the snowshoes she had last year. "The difficulty will be the cold, the solitude, the fact that I have to bring everything I need myself," she said. "I have to do this on my own to test my own limits and, sometimes, it's better to be alone than to be in bad company." 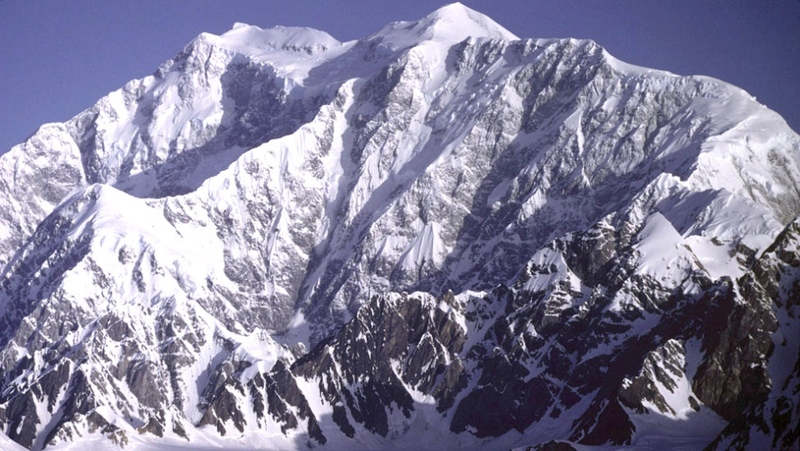 Scott Stewart, visitor safety specialist at Kluane National Park where Mount Logan is located, said an average of 35 people a year over the last five years have tried to climb it during peak season between mid-May and mid-June. The odds of reaching the top stands at about 50-50. "If a climber's objective is to (reach the) summit, then it's less than half of parties that are successful at that," Stewart said. Last year, an Argentine climber was forced to abort her own solo climb of Mount Logan's east ridge when earthquakes brought down significant avalanches. Stewart said a 15-year-old girl from British Columbia became the youngest climber to reach the top of Logan when a team led by her father hit the summit last year. The three biggest obstacles to reaching the top, Stewart said, are the remoteness, the weather and the altitude. "Mount Logan is Canada's highest mountain at approximately 5,959 metres, so altitude is certainly a factor that limits the success rate," he said. Weather is a big factor -- winter conditions exist year round and temperatures regularly drop to -40 C, even during peak climbing season. 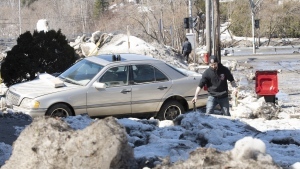 Storms can last days or weeks and winds in excess of 160 kilometres an hour are common. "Once a climbing party is in there, it really is an isolated, remote area within which to take a trip," Stewart added. And with respect to climbing in ice fields, there are always challenges like crevices, avalanches and serac fall -- glacial ice that can fall without warning. Richard said she's well aware of the risks. One of her dear friends and climbing partners, Arvid Lahti of Norway, died in 2015 while they were climbing Mount Rainier in Washington. She said it gave her pause for thought and that she took it easy for a couple of years. "It was a big event in my life," she said. Richard will set off for Whitehorse on May 11 and gather some final supplies before beginning her climb, which she estimates will take 22 days. She will have a satellite phone and a device that will allow her to keep followers updated on social media. "I know people will be worried," said Richard. "I won't be reckless either -- I will turn around (in the event of danger). I'll go as far as I can." She's taken a month off her Canada Post job walking the mail route in the hilly Montreal enclave of Westmount. "I think I'm capable of reaching the summit," she said. "I'm going to stay humble but I feel ready to take on Logan on my own."